Cherie Jobe Website Video from Deep Media on Vimeo. 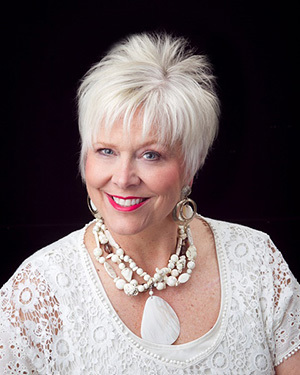 As a speaker, author and life coach, Cherie's friendly smile, honest transparency and genuine love for women (along with her Tennessee twang) endear her to audiences where ever she goes. She speaks to thousands of women annually, encouraging, giving hope and helping each person come to terms with life's ups and downs. Cherie Jobe has the unique ability to encourage, equip and empower her listeners to take action and make changes in their lives NOW. Her first book, "Secrets From Behind the Chair" is a perfect example of her speaking style. Honest, heartfelt, and healing are three words used to describe Cherie's powerful book. You will find comfort for your soul and strength for your journey through words and stories in this book. Cherie Jobe second book, "Surviving the Bad Hair Days" offers a series of stories about Cherie having dealt with some bad hair days of her own. It offers genuine friendship, candid humor and wise counseling as clients, friends and acquaintances share childhood nightmares, relationship struggles and deeply hidden hurts. Cherie loves to offer the gift of inspiration and hope, teaching everyone who experiences their own bad hair days how to be content, peaceful and strong. Thank you for visiting the site! Sign up for my Newsletter, order your copy of "Secrets from Behind The Chair " and "Surviving the Bad Hair Days" or schedule a speaking engagement.